International Watch spoke with Zenith CEO Julien Tornare during Baselworld 2019. 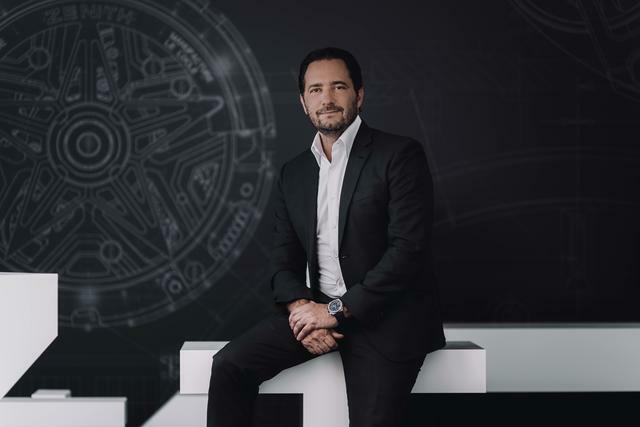 He told us about why the Zenith Defy Inventor is so important for the brand, what he’s doing to make watchmaking appealing to young consumers, and when you can visit Zenith headquarters in Le Locle. Read the full interview below. Why is the new Defy Inventor so important for Zenith? For the past two years I have been working on understanding Zenith as a company. Who are the great men who made Zenith? What happened in our history? This helps us to understand which elements and symbols we should communicate for Zenith. This also helps us decide which direction we needed to take to move forward. Understanding this also helped as we were remaking our advertising, boutiques, displays and even events. Zenith has been so creative from the very beginning. When we first started to work on the first automatic chronograph fifty years ago many people in Switzerland said that it could not be done. This is exactly what I was told when we began to work on the Defy Lab. It is in our genes to create new things. Now, everybody says they innovate, but who is really, really innovative? I believe this is our mission, and we continue to do this. For the new Defy Inventor, we redeveloped the oscillating component (from the first Defy Lab) and it still has no friction, no oil and is anti-magnetic. What were the technical challenges Zenith faced to make the Defy Inventor? The first one was obviously linked to this oscillator. The cut is very specific and we’re talking about micro-microns. Tiny differences change the precision. The difficulty was if we make ten pieces, fine, but if we want to make a series it is more difficult. Even today many of them are rejected. 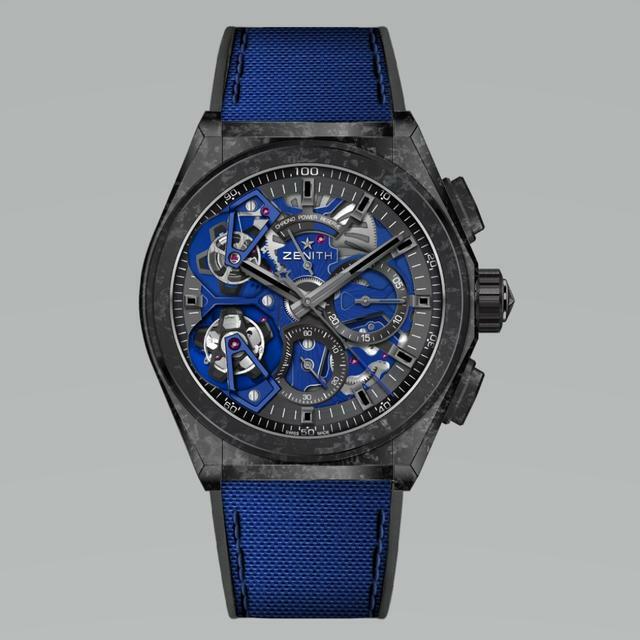 The Zenith Defy Inventor features a one-piece silicon oscillator vibrating at 18 Hz, or 129,600 VpH. After we integrated the oscillator into the watch, it went quite well. Since that first series we have made one change. The Defy Lab was 15 Hz, but in this new Defy Inventor, the oscillator vibrates at 18 Hz (129,600 vibrations per hour). We realized that the small increase in frequency keeps it more stable over the entire power reserve. Plus, it’s even cooler to say 18 Hz. We kept using the same material however. The people who bought the first Defy Lab bought it with a bit of trust about us. We made that first ten-piece series with a particular case of Aeronith, but we did not want to repeat that afterward. But we did put a hint of that material on this new watch’s bezel. Aeronith is an alloy of aluminum, carbon and a polymer. We cannot scratch it and it is very strong. We can work on different cases, as well as possibly changing the shape of the oscillator. This is really just at the beginning. How do people react when they see the Defy Inventor? Never underestimate the visual impact it has. When I was launching Defy, I recall showing a prototype to clients, and the reaction was extraordinary. Everybody wanted to know what it was and how it worked. Developing this is totally in-line with our history. How will the Defy Inventor be released? In a perfect world I would like 1,000 of these. But for now we will make 300 to 400 in 2019. Moving from ten initially to 300 or 400 is a good start. 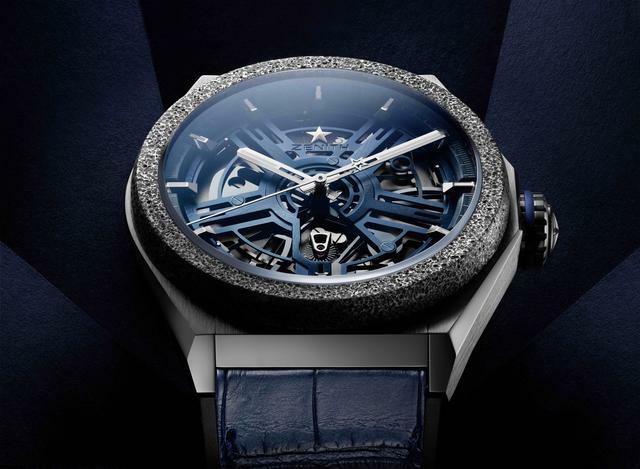 It’s priced at 18,900 Swiss francs (approximately $18,900). Developing this is very costly. Financially we could not ask any less than this amount. On the other hand, it tells only hours, minutes and seconds and is not a complication. Still, there is no other watch like it, so we do not want to under price it. So I think it is correctly priced for Zenith and for the creativity and technology needed to develop it. How do you balance the historical Zenith offerings with the cutting-edge Zenith? Except for the case metal, this new white gold anniversary edition El Primero A386 Revival reproduces the initial characteristics of the 1969 Zenith El Primero. And, it's got a 50-year warranty. It is important to have this balance. We live in a world where tradition and history only makes sense when it serves to move the brand into the future. Clearly Defy is playing a role. It is already in contemporary design using a new invention, but that doesn’t mean we shouldn’t keep an elegant, classic watch. This means the Chronomaster and the Pilot. Do you know that we are the only brand that owns the name pilot? 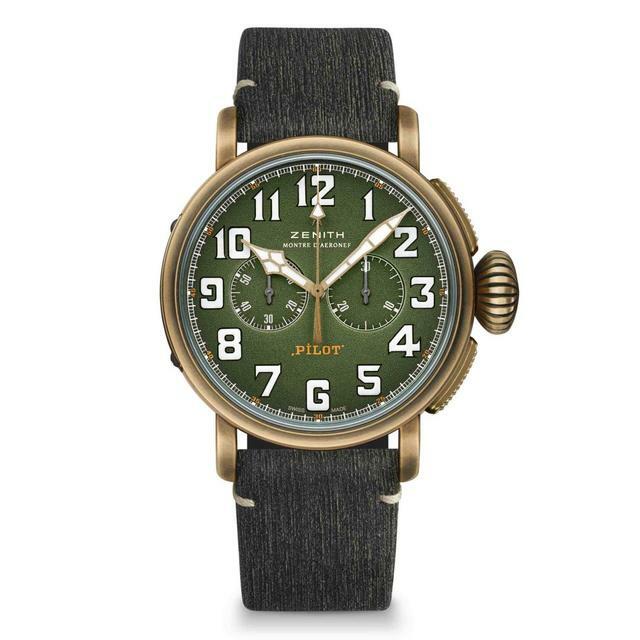 We are the only brand where we can place the word pilot on the dial. Next year will be an important year for the pilot line. Today we are only doing vintage pilot’s pieces, but tomorrow we have much more to do on this front. The new bronze-cased Zenith Pilot Type 20 Chronograph Adventure, pictured with a khaki matrix calfskin leather strap with protective rubber lining and a titanium pin buckle. We have been celebrating our anniversary with a lot of cool things. 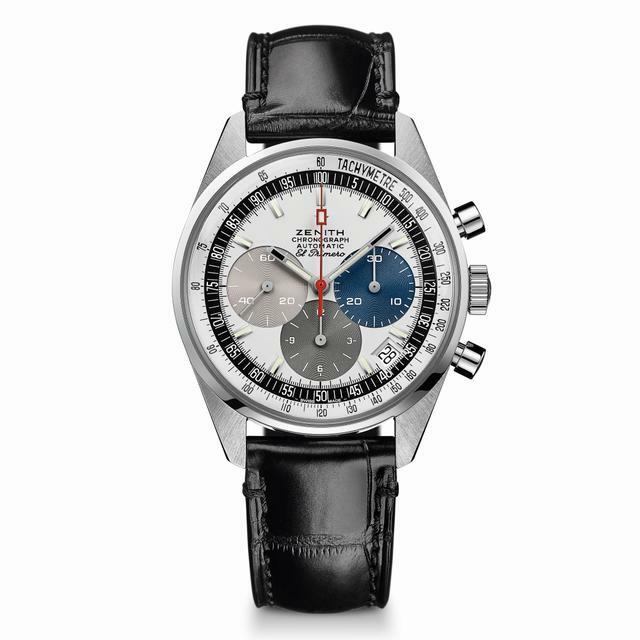 Our El Primero anniversary pieces have fifty-year warranties. The warranty will expire when we have the 100-year anniversary event. This is a full warranty that includes the maintenance and the service. The owner won’t pay a single penny these watches. Which additional 2019 Zenith debuts can you highlight? Defy 21 has been a huge hit for us. 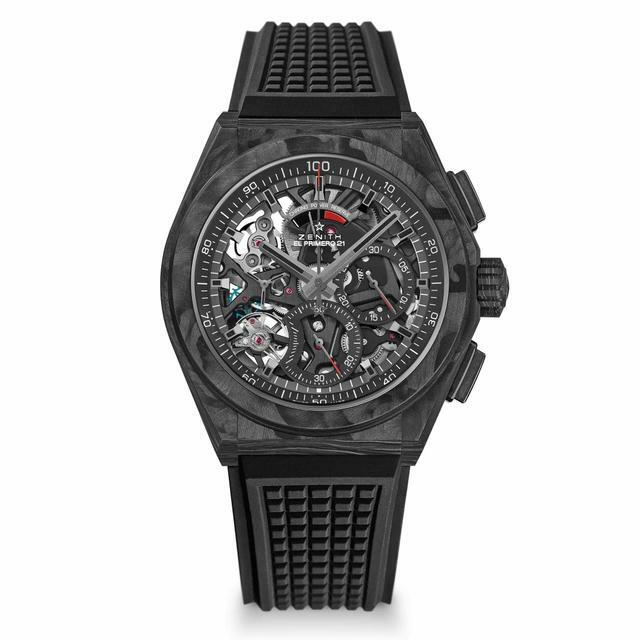 Our newest version, which I really love, is a carbon edition of the Defy 21. But this is not molded carbon, is it carbon made layer by layer. The watch is a lot of fun because of its once-per-second hand. This type of carbon rendering almost looks like wood because of the grain that appears because of the layering of the carbon. 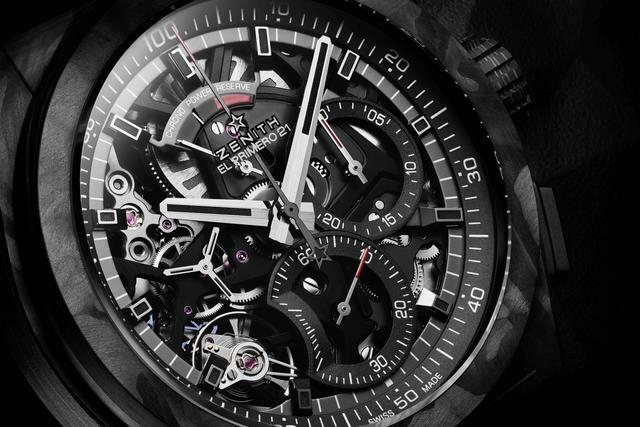 The new Zenith Defy El Primero 21 Carbon, pictured on a rubber strap. Regarding complications at Zenith, we started again last year with the Defy Zero G, and now we have two pieces, both with a lot contrasts. One of them uses a fusee chain, and now inside the Defy case it is quite different. I also asked our watchmakers to make the chain blue in the center of that dark movement. They did, and it looks very cool. We have the key element of the watch highlighted. Previously, it was golden it appeared a bit more old-fashioned or a traditional. Since this is now in Defy, we can have fun with this. We have made forty pieces in carbon and ten pieces in platinum. 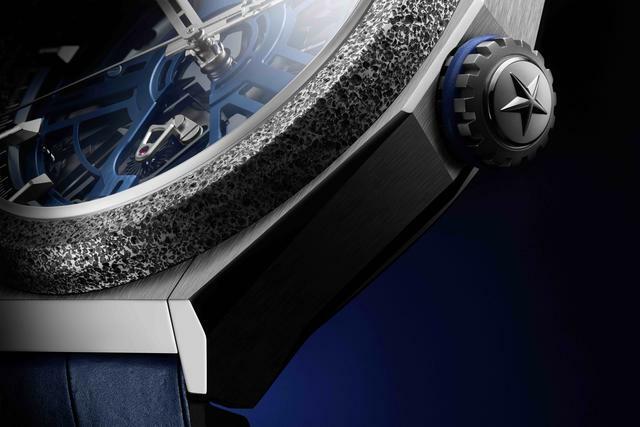 The tourbillon is also in blue. As a result the entire watch looks quite different from the Chronomaster version. 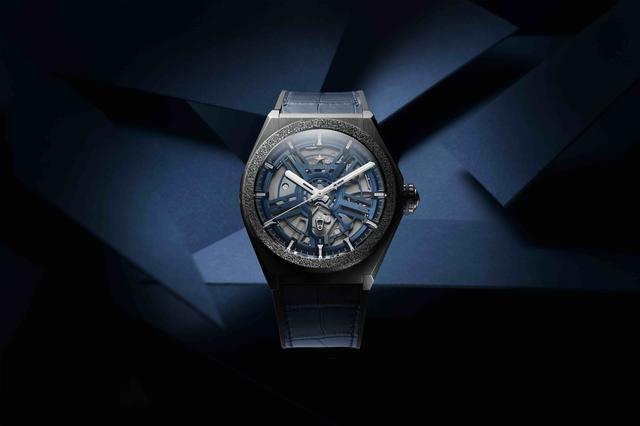 The new 46mm Zenith Defy Double Tourbillon, with a seconds hand that rotates once per second, is offered with a carbon case (pictured) or a platinum case. And we also have a world premiere, the Defy Double Tourbillon. We took the Defy 21 and hey we added a double tourbillon. It’s 46mm with forty pieces in carbon and ten in platinum. One of the tourbillons functions at 5 Hz and the other functions at 50 Hz. One is for the chronograph and the other regulates the hours, minutes and seconds. It is a spectacular watch. What can I our readers expect in the next year or so from Zenith? It is quite simple. Zenith has 154 years of history, and I’m so happy about that. It’s a richness that we have to utilize. But we should not sleep on our history. We need to express it in a contemporary way. We need to create to bring new things forward. People want to buy 21st century pieces, and they want to show that our industry is dynamic. In our new ad campaign, we emphasize how we need to look ahead, how we continue to build. We all have a star that we want to reach, whether at work or within our family, and we get things done. That’s the message, about what kind of values you have. How does watchmaking enhance its appeal to younger buyers? Many people will tell you that the big challenge is to make sure that Millennials are interested in watchmaking. If we want to make sure that they don’t just place a cell phone on their wrist, we need to show them that this is a very dynamic Industry and that we are bringing them new things. We have to show that we are living in the 21st-century. This is very important. I will always respect the past, but we will express it in a contemporary way. In the middle of all this, we need to be sure that the brand remains authentic – and not just as a nice marketing word. This means that I will not do a connected watch tomorrow, or mix up all of our materials. There are other brands that do that. Chronometry and precision are linked to Zenith. Also, we are one of the remaining four or five brands that can say that one hundred percent of our watches has our own movement, a Zenith movement. I came from a brand (Vacheron Constantin) that worked hard to become a one hundred percent manufacturing brand, and I strongly believe in that. Millennials live in a virtual world, where there are fakes everywhere, and I am convinced that for a mechanical watch they will want a piece that has substance and real content. I want to say that Zenith is real content. You can visit Zenith, see our movements and see how we do it. In short, we have a long history and authenticity, and we express it in a nice but fun way. 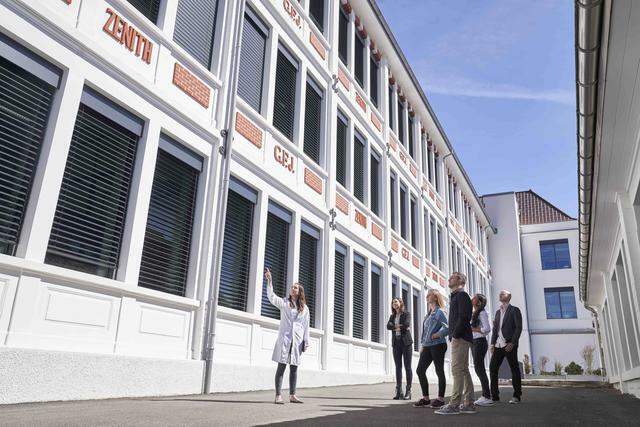 Zenith now gives manufacture tours to the public each Friday. How is that going? Our public tours have been amazing. Every Friday, when I am not traveling, I go to meet our visitors from all over the world. I wish we could welcome more people. We are open to the world.